When I talk to knitters about helical knitting, if they are familiar with the technique it is almost always in the context of 1x1 helical stripes. I have to admit that this was how I first met helical knitting, but I’m fast coming to the conclusion that it’s helical garter stitch that is the most exciting application of helical knitting. 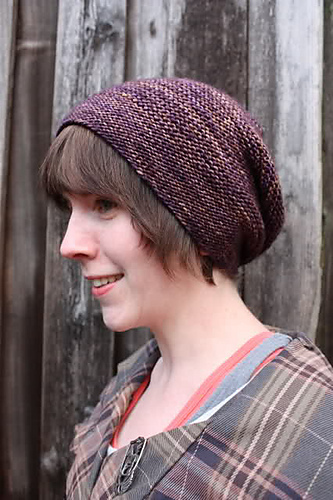 The photo above is of my Momo hat which uses a background of two-colour helical garter stitch. Garter stitch has had a massive renaissance in flat knitting over the last few years. What was previously seen as “that fabric you make before you learn to purl” is now appreciated for the beautiful thing it is in its own right. The texture of garter stitch fabric is so full of love – like a cosy hug. Striped garter stitch shawls, cardigans and more have been in abundance, but their “in the round" cousins” – hats, sweaters and cowls – haven’t been as prevalent, and I think that’s mostly down to the jog or “seam” line you get when you work garter stitch in the round. That is especially true if you then factor in stripes, since striped garter stitch suffers from both a jog and a seam line at the change of round. Enter helical knitting. Both seam and jog-free striped garter stitch are not only yours, but also very straightforward to do. Here is our video tutorial on helical garter stitch, and when chapter 4 lands tomorrow, Something New to Learn About Helical Knitting customers will have all the instructions for working striped garter stitch in the round. Jim is currently sample knitting a helical striped garter stitch design for me, and we hope it will be ready in the New Year. There’s a lot to achieve before the end of the year, as plans are well underway for the second round of A Year of Techniques. More on that another day though…. 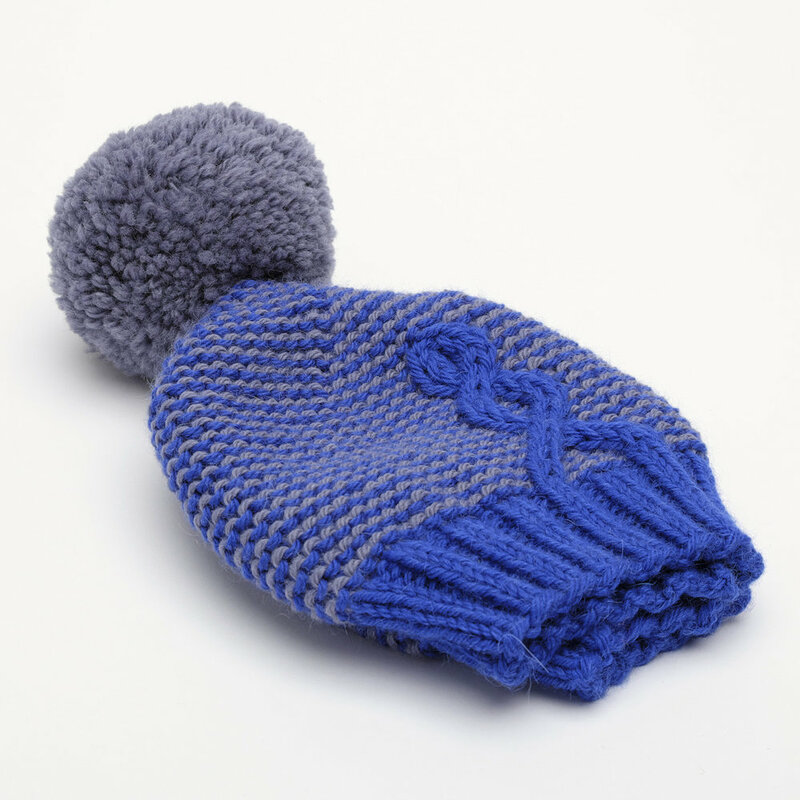 The Garter Ear Flap Hat and Garter Gaiter are both free patterns by Purl Soho in New York, and lend themselves brilliantly to a helical approach. 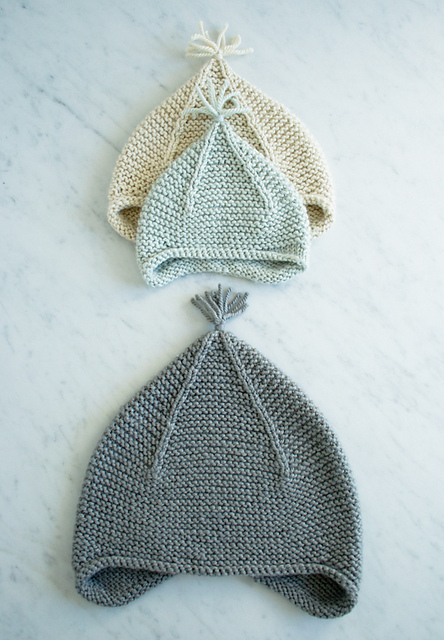 The Rikke Hat by Sarah Young is a free download on Ravelry, and again, would be fantastic with helical garter stitch. Cables on a garter stitch background is clearly a look that I like a lot! The Baby Cables and Big Ones Too sweater from Suvi Simola has an absolutely gorgeous combination of garter stitch yoke with cable details. 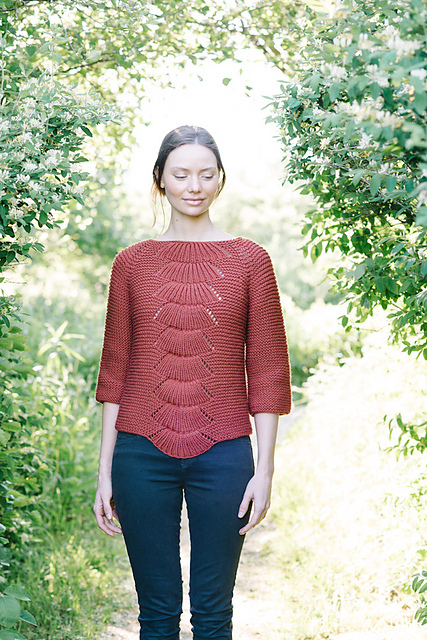 Carrie Bostick Hoge’s striking lace and garter stitch top, the Camilla Pullover, has caught my eye a few times, and since it’s knitted in an aran weight yarn would be quite quick to knit too. And finally, it’s a classic - the Cobblestone Pullover by Jared Flood. I knitted this for Jim many, many moons ago and I’m pretty sure it’s time for me to knit him another one. Perhaps in the new year? All three of these designs are available to purchase directly from their designers on Ravelry by clicking on the links. If you helicalise one of these, or indeed any other design, do come and share your knitting in the helical knitalong in our Ravelry group. All of the pattern images in this post are copyright of their designers.